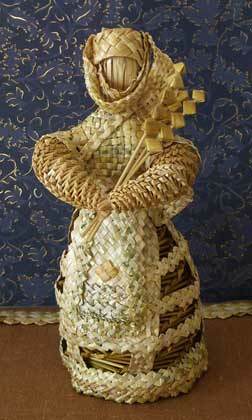 It is hard not to notice the phenomenon of Belarusian straw weaving. 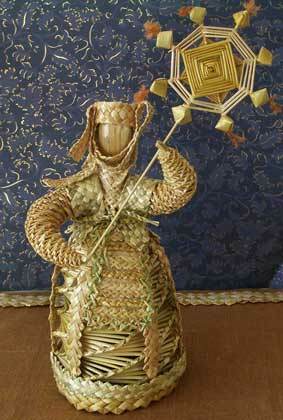 There are few places where objects and figures made of straw are created on such a high artistic level. The secret of its success and distinction is in long traditions, extraordinary craftsmanship and even in the fact that Belarusian straw has different qualities due to specific climatic conditions. It's also influenced by Belarusians' mentality - straw weaving takes a great deal of time, requires persistence and concentration. 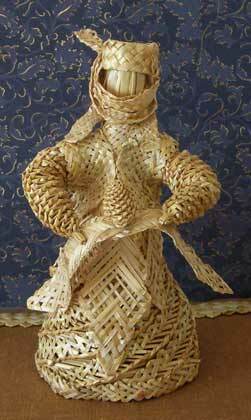 Ancestors of Belarusians had been weaving from straw for thousands years. It was always interconnected with nature worship and cult of bread in particular. 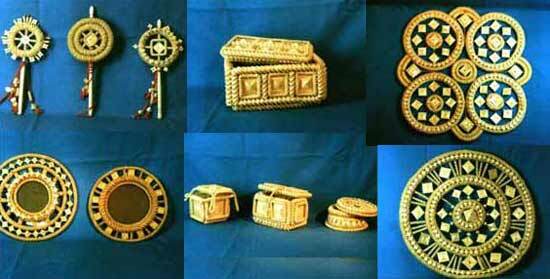 The golden age of straw weaving in Belarus was in 17-18th centuries. 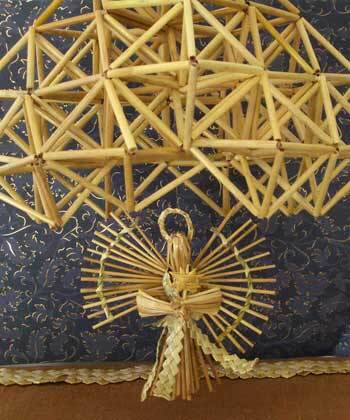 For example only in Belarus objects made of straw were used as church decor. Since 1960s Belarusian straw weaving has been on the rise again - new weaving techniques were developed and what used to be an elaborate craft has become pure fine art. 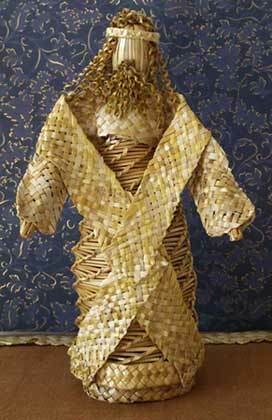 And we are honored to represent on our website such a contemporary artist, Irina Sarnatskaya, a straw-weaver from Belarus. She was born in Minsk, Belarus in 1969. Irina studied at an art lyceum, and later graduated from Minsk Art College named after A. Hlebau. She holds an M.A. degree from the Belarusian Academy of Arts. 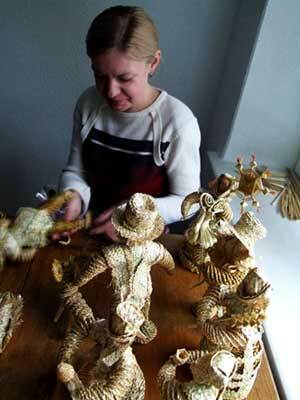 Irina Sarnatskaya specializes in decorative and applied art and in straw weaving in particular. She also tried herself in traditional costume design. The artist took part in various national and international exhibitions and art shows. Her works can be found in private collections in the United States, Great Britain, Austria, Israel, France, Germany, the Czech Republic, Italy, Russia and Belarus. In addition to her work as an artist, she teaches children art at the National Center for Children and Youth Creativity, Minsk, Belarus. 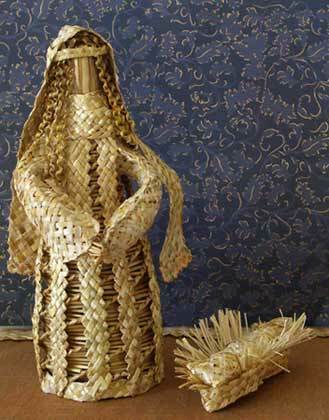 "I can say that my devotion to straw weaving has emerged in the beginning of 1990s", notes Irina. 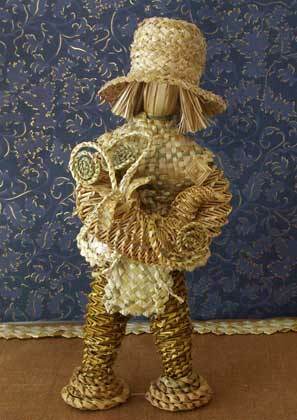 "My teachers were established masters of Belarusian straw art - Taisia Agafonenko and Tamara Pavlovskaya. They taught me how to weave figures of people, animals and birds, dolls, ornaments for a Christmas tree, mobiles, small boxes, purses, trays, hats. Inspired by unique Holy doors made of straw, which used to be a part of the altar decoration in one of churches in Grodno in 18th century, I created a decorative panel (straw "painting")". 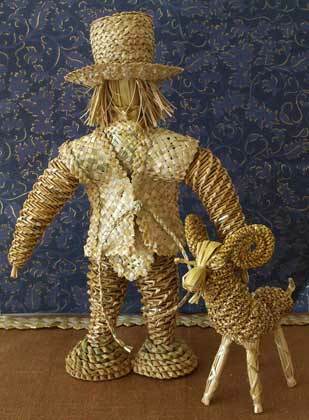 Besides "traditional" artworks made of straw Irina Sarnatskaya has developed several "contemporary" straw topics such as lamps, straw "sculptures" and kinetic objects. She manually picks up straw in the end of July and in August, depending on the weather. 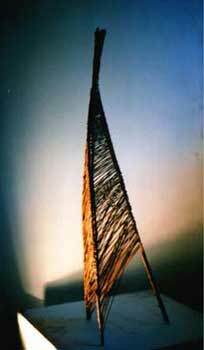 In her work the artist uses rye, oats, barley and triticale (hybrid of rye and wheat). Straw is dried under a shed with plenty of air circulation. 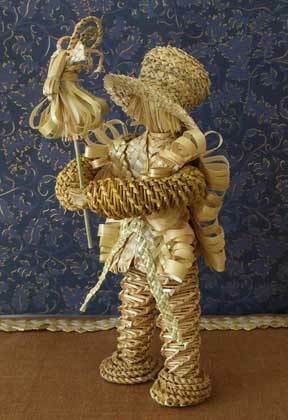 "After drying I peel every straw strand off leaves, cut them and sort them by length and thickness. 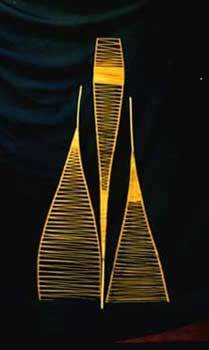 Usually only three upper joints are used in weaving since they are the thinnest. Before I begin working on an artwork I steam straw in hot water until it become soft and flexible," Irina comments. Beside all the knowledge and skills the artist strove to absorb from her teachers, she discovered and implemented a couple of new weaving methods. For example, she uses a framework made from willow canes while creating complex suspended structures such as "fishes", "pyramids" and "birds". "Overall, straw is a unique natural material, which doesn't reveal its secrets to an artist right away but rather during the process of working with it. And straw never stops to fascinate me - new ways of weaving and braiding, intricate nodes and designs, unexpected discoveries - all that makes me happy, dedicated and motivated," says Irina Sarnatskaya. 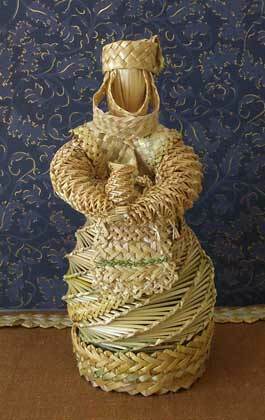 There is a unique opportunity to acquire a piece of art made of straw via our website. If you have a vision of an object, figure or composition, you can communicate it to Irina Sarnatskaya and she will create the exclusive artwork made to order. If you are interested in receiving more information about straw weaving and the artist or would like to place an order, please write to us following [Contact us] link. On images below: Irina Sarnatskaya. "The Nativity" set, 2008, 9 figures and mobile.